St.-Jean Baptist Church located in the South Shore area of Montreal, began building in 1984 and the first liturgy was held on December 22nd 1985. 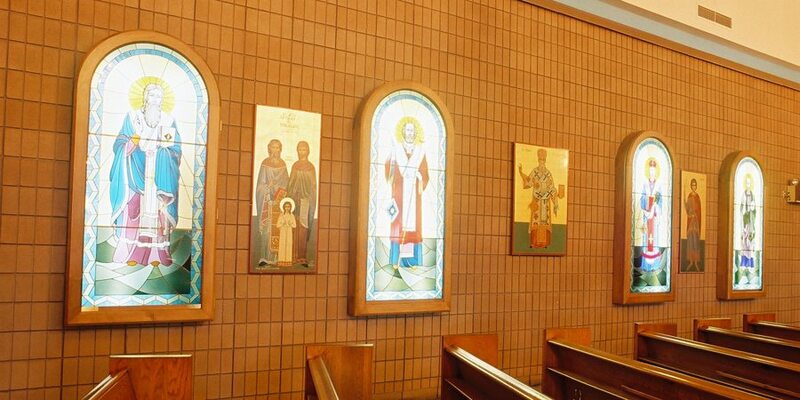 All HCGM Churches are administrated by the Community’s Board of Directors and as a “body” are under the ecclesiastic and spiritual authority of the Greek Orthodox Metropolis of Toronto (Canada). Each church is managed by its Dean. All churches are supported by their Church Committee and Ladies Benevolent. In addition to its own Church Committee St.-Jean Baptist church is supported by the Ladies Auxiliary. Each Church keeps its own archives where all sacraments and ceremonies are recorded. Additionally St.-George Cathedral keeps Holy Trinity Church archives as well as the registry book. 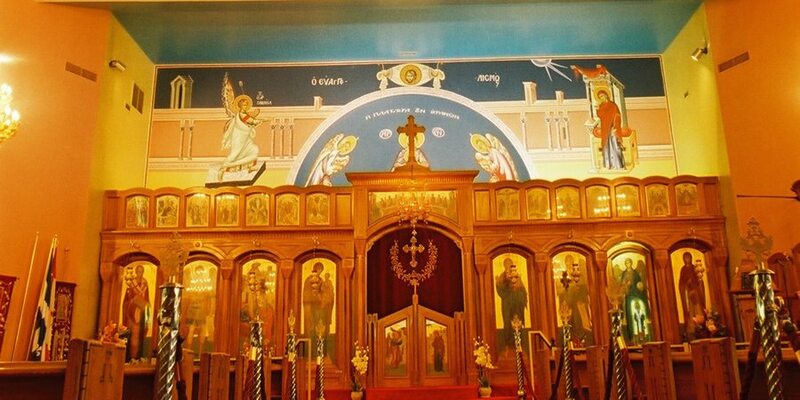 The General Archives and Register of Records are under the authority of the Greek Orthodox Metropolis of Toronto (Canada) and the one who issues licenses, marriage and birth certificates etc.